Have you ever wondered why preschoolers love to hear the same story over and over and over again? Some experts say it’s because youngsters feel a sense of comfort with familiarity and predictability or because they want to repeat the sense of joy experienced when the book was first read. Whatever the reason, most authors of children’s books know that simple words, rhyming verse, and humor appeal to children. Add a cute furry animal with a bold personality, a little girl named Gretchen, her brother, Bob, a dog named Ned, two cats, and a bunny and you have The House of Muldoon – a children’s book that preschoolers will adore and want to hear again and again. 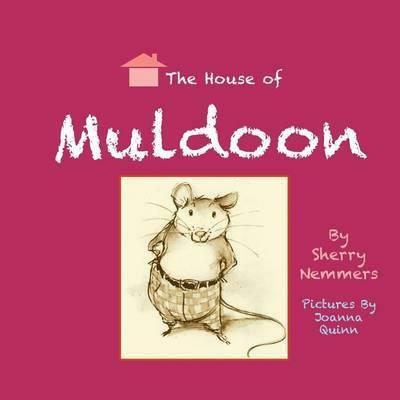 Written by Sherry Nemmers (creator of McGruff the Crime Dog, the P & G Charmin Bears, the Mars’ whisks cats Chuck and Marvin, and Buster the Beaver for the Adirondack Council) and illustrated by Joanna Quinn, The House of Muldoon is the delightful (and funny) story of an extraordinarily talented mouse who moves into a house inhabited by a family and their pets. Written in repetitive rhyming verse beginning with “There’s a mouse in the house..,” the author takes the reader (and listeners) on a crazy adventure with the entrepreneurial Muldoon as he engages the whole family in his schemes. Preschool children will love to hear the story read to them while 1st and 2nd graders will enjoy reading about Muldoon’s antics out loud to their families. Available through www.powells.com or www.amazon.com, The House of Muldoon was created to give back. All proceeds from the sale of Muldoon books go to save animals, who Nemmers credits with patiently saving her all her life. What could be kinder….